Electronic Arts has confirmed that an increased focus on mobile development has led to layoffs at its Salt Lake studio. EA Salt Lake, which began life as Headgate Studios all the way back in 1992, isn't one of the highest-profile of Electronic Arts studios. Its repertoire includes a bunch of Tiger Woods PGA Tour games, Littlest Pet Shop, Nerf N-Strike and a bunch of Sims 3 expansions. It's also been involved in mobile game development, and a decision to focus more exclusively on that means that staffing levels are being reduced. 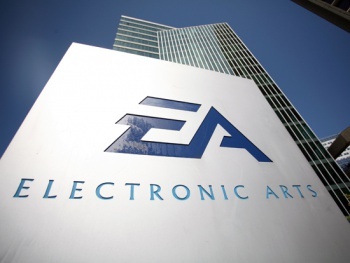 "EA Salt Lake is becoming largely focused on mobile development, including The Sims and other projects. Recent shifts unfortunately resulted in the reduction of a few teams," the publisher said in a statement. "As we look to match skills with opportunities, some staff will be offered other positions at EA, while others will leave the company." Electronic Arts recently announced that a faster-than-expected decline in games for previous-gen consoles led to a 12 percent revenue drop in its third quarter, but its mobile business was up 26 percent year over year and 19 percent over the previous quarter. December was also the company's biggest month ever for mobile, with a total of 71 million game downloads from the App Store and Google Play, which EA said made it the top mobile publisher worldwide. EA declined to say how many people would be let go as a result of the change.